Earlier this week we brought you news of the now SOLD OUT Pumpkin Patch Bubbles by The Bots (read HERE), and we got more news for all you Bubbles fans out there. Available in a new lovely light blue colourway, Bubbles is all set to be grumpy in your collection. 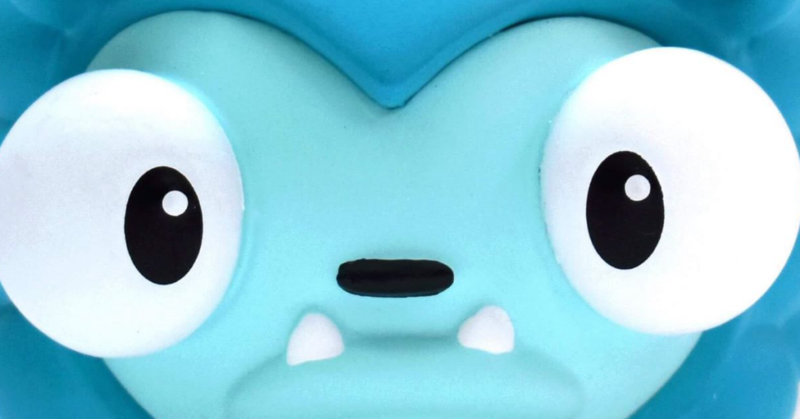 Starting at New York Comic Con next month, Bubbles will get a new vinyl colourway exclusive for conventions. Available from the Tenacious Toys booth #780. Priced at $30 (£23) each. No details on run size but we hear that Bubbles in this convention colourway will also be available at DCon later in November.